This case was designed for PSAV. 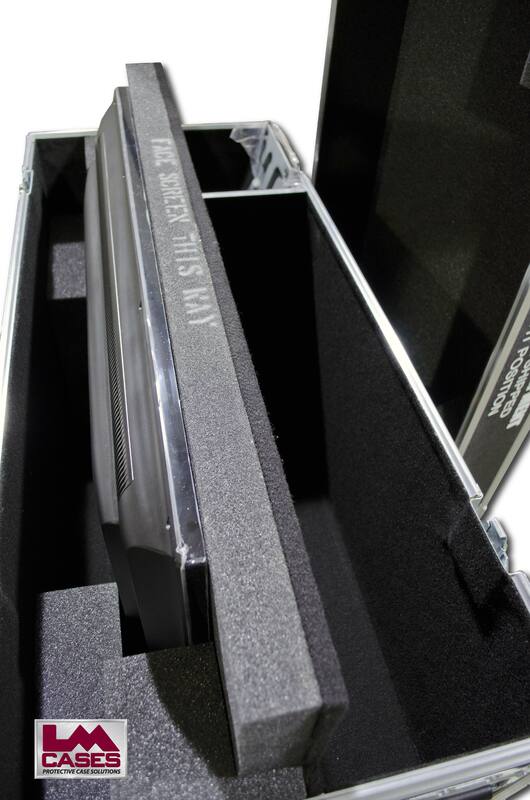 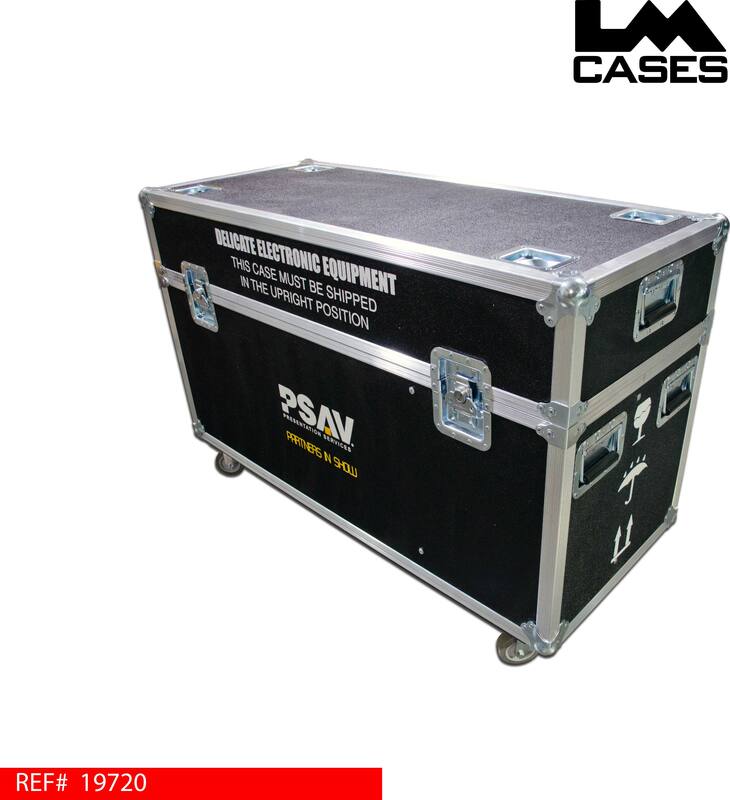 The case holds a Samsung UN40EH6000F 40″ LCD monitor and accessories. The monitor is stored against a large center divider and surrounded by 2″ foam to provide maximum protection. 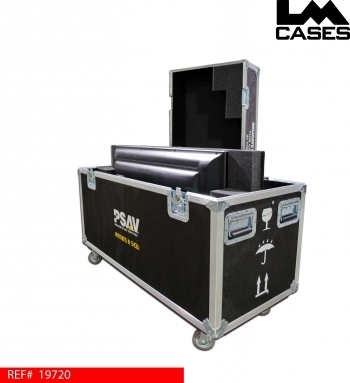 The exterior case is built out of 3/8″ plywood and features stacking caster wells in the lid, 3.5″ casters, a 2 color custom silkscreen of the PSAV logo and 6 recessed handles.